TRAI had yesterday more than halved interconnection usage charges (IUC) to 6 paise a minute starting October 1. Older telecom firms Bharti Airtel and Vodafone today cried foul over the regulator slashing call connect charges, saying it will worsen the financial health of telcos, a charge that newcomer Reliance Jio rubbished on grounds that customers must benefit from falling costs. Telecom Regulatory Authority of India (TRAI) Chairman R S Sharma, in an interview to PTI, dismissed charges of non-transparency in its decision to cut call connect rate, saying the cost calculation was "objective and scientific" and there is no question of "helping or harming" any operator. TRAI had yesterday more than halved interconnection usage charges (IUC) to 6 paise a minute starting October 1 and zero from January 1, 2020. Mobile companies currently charge 14 paise a minute for allowing a domestic call from a rival operator to terminate on their network. Interconnect charges form 9-15 per cent of consolidated revenue for Bharti and Idea, according to CLSA. Vodafone termed the decision as "retrograde regulatory measure" that will significantly benefit only the new entrant but stopped short of directly naming Jio. Both Airtel and Vodafone said the move would adversely affect the rest of the industry. Airtel said "the suggested IUC rate, which has been arrived at in a completely non-transparent fashion, benefits only one operator which enjoys a huge traffic asymmetry in its favour". Expressing disappointment at the new regulations, Airtel said the industry is facing severe financial stress and the cut in IUC will "further worsen" the situation. 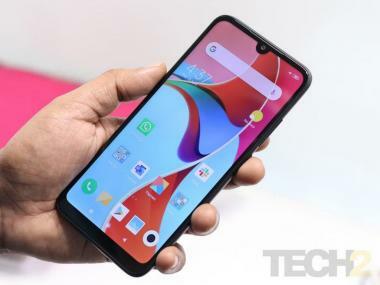 Rubbishing the charges, Sharma said the IUC was driven by overarching considerations of consumer and industry interest, competition and march of technology. "We have no authority to change the costs. Where is the question of helping or harming someone?" Sharma said, adding TRAI has been "conservative" in its approach on setting a deadline of 2020 for phasing out the charge. Reliance Jio -- whose free service has been blamed by Bharti Airtel, Vodafone India and Idea Cellular for their declining growth -- said cost of voice had slid to a fraction of a paisa and customers should enjoy the advantage. Jio said that it is "appalling" that incumbent operators have made baseless allegations against the process for determination of interconnection usage charges. In a statement, a Jio spokesperson said: "There is no question of any advantage from the new IUC regulation to Jio as it has already passed on all the benefits to customers. We deny any benefits to Jio." The latest entrant also charged the incumbent operators of having a history of opposing all the IUC regulations over the last eight years, but not being successful in "thwarting" the passage of benefits (of lower IUC) to customers. "At a time when the world is moving towards IP-based technologies, cost of voice has come down to a fraction of a paisa and the customers should enjoy this advantage," Jio said. The company said that the argument around financial stress or the need of IUC for promoting rural coverage revealed the mindset of incumbent operators of treating the said charge as a subsidy which Indian customers must pay to sustain operators financially. 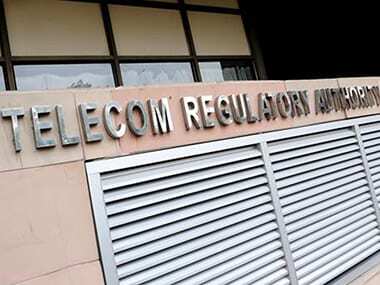 Mobile association COAI said that TRAI's decision to cut call connection charge, if executed, will hit earnings of old mobile operators to the tune of Rs 5,000 crore in the current fiscal. A top government functionary said way back in 2011 it had been stated that IUC will come down in four or five instalments so that voice calling becomes free and only data is charged for. "Voice becoming free for poor people is a great thing. Data is only paid. Voice has to eventually become free," he said. On the TRAI order, the official said incumbent operators think that IUC should remain as it would mean that Reliance Jio has to pay for 90 per cent of the outgoing calls that will originate from its customers, and terminate on rival networks. "So economically, its obvious they are right in saying that it favours Jio, but it also favours consumers," he said. Meanwhile, rating agencies and analysts have said the latest decision will dent incumbent operators earnings but benefit Reliance Jio. Global ratings agency Fitch said the cut in IUC will lead to transfer of up to USD 600 million per year to newcomer Reliance Jio from the incumbent operators. It said the move will bring a "significant cost-savings and lead to faster-than-expected break-even" in pretax profits for Jio. The pretax profits of the incumbents, including Airtel, Idea Cellular and Vodafone, will get dented by 3-6 per cent for the financial year ending March 2018, it said.